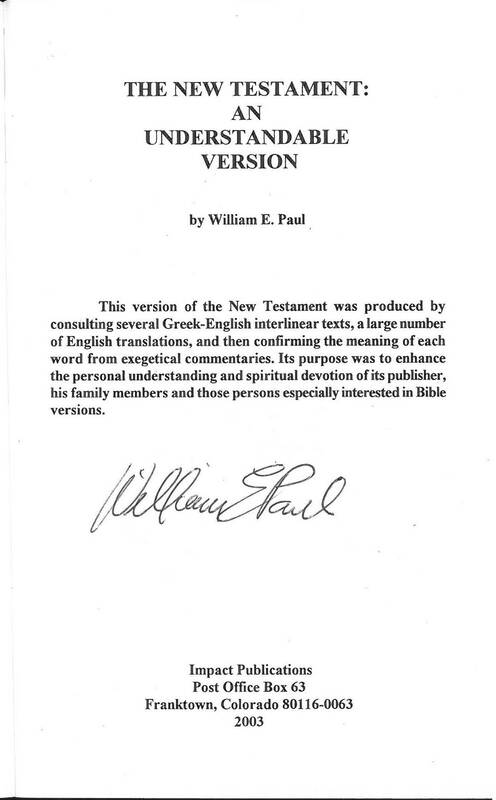 In addition to this translation, William E. Paul contributed to the Essential New Testament by Dennis Beatty. 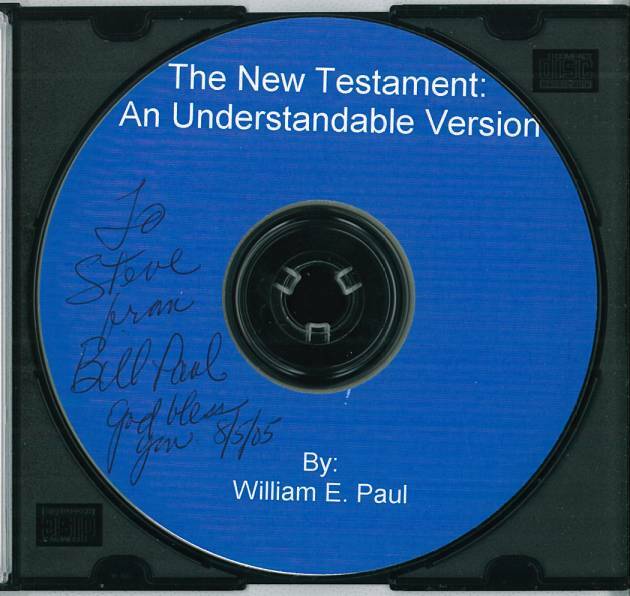 For sample verses from the translation by William E. Paul, click here. 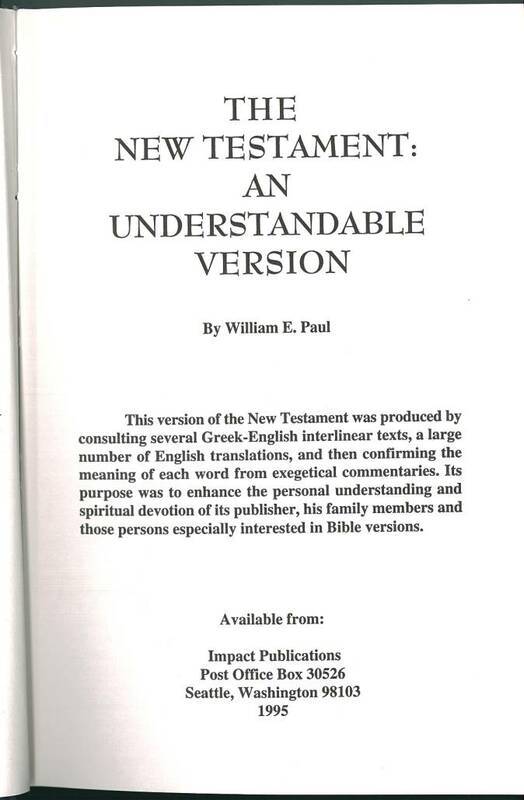 Comments: This was produced in an edition limited to 300 copies. References: Taliaferro-BVE CN00080, Taliaferro-EELBV 8450.100. 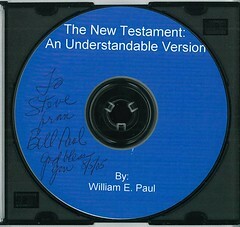 Comments: This is a CD version of Paul's revised New Testament. references: Taliaferro-BVE CN00080, Taliaferro-EELBV 8450.105.
references: Taliaferro-BVE CN00080, Taliaferro-EELBV 8450.110. 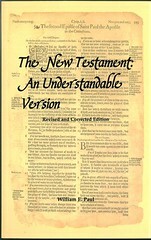 This version is available on line at ncbible.org/AUV/Contents.htm. 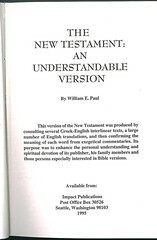 A third edition, revised and corrected, was published by Authorhouse in 2006. It is considerably superior to the previous editions. 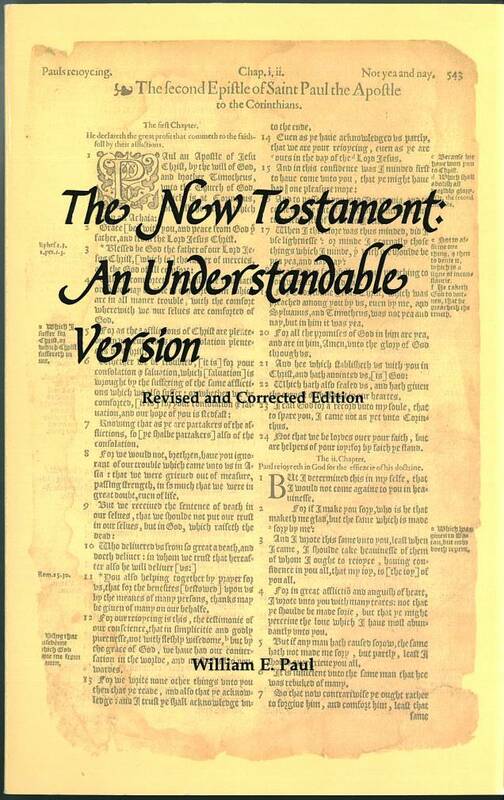 A copy may be purchased for $22 plus postage from Impact Publications, P.O. Box 63, Franktown, CO 80116.